When you're out on the water on a wet day, it is nice to have some extra warmth and protection. And no one knows what you need better than NRS, being based out of the cool and drizzly Pacific Northwest. The company's Disco Surf Shirt places sections of varying fabric at just the right places to keep you comfortable in your kayak, on your surfboard or paddleboard. 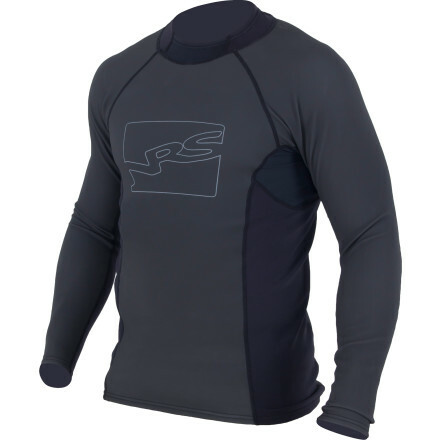 Stretchy neoprene on the chest and back and HydroSkin panels on the sides and underside of the arms keep you warm even when you're consistently splashed with or immersed in frigid water, and when evaporating moisture might otherwise cool you down. The HydroSkin fabric is composed of three layers: 4-way stretch fabric on the outside, a neoprene core, and ThermalPlush lining that adds extra insulation where it's needed most. A titanium laminate adhesive layer in the HydroSkin fabric helps retain body heat, and a DWR (durable water repellent) treatment keeps water from soaking in by forcing it to bead on the surface of the fabric and run off. Spandex is placed at the underarms and collar of the shirt for ventilation and to prevent chafing. 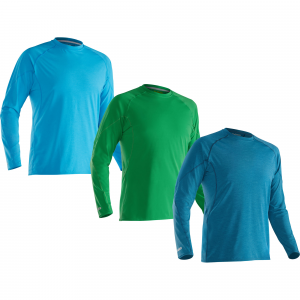 This high-performance shirt offers just the right dose of added protection and comfort to keep you out longer on those cool, drizzly days. Dance with abandon in the wind, spray and rain with the NRS Disco Surf Shirt. 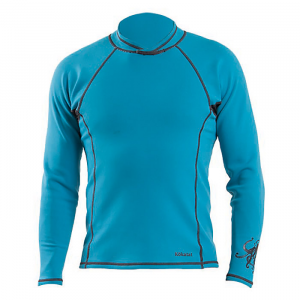 The perfect action-ready top for kayaking, SUP, surfing and other water sports when cooler conditions demand extra warmth. 1-mm raw neoprene stretches to match your every move while shedding water to prevent evaporative cooling. Fleecy ThermalPlush(TM) lining adds warmth and next-to-skin comfort.Flatlock stitching for durable, comfortable seams. 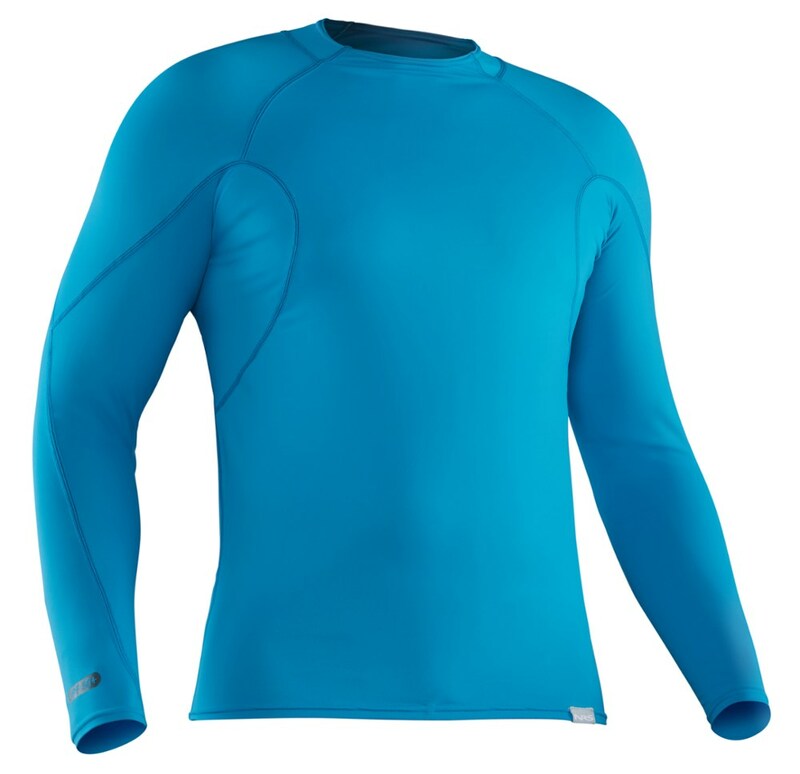 0.5-mm HydroSkin(TM) panels with nylon facing add comfort and mobility in key zones.Spandex panels under the arms and below the chin help prevent chafing. 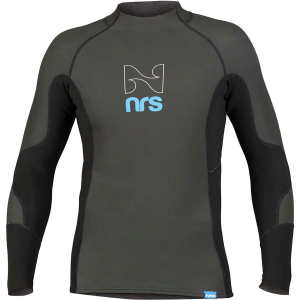 NRS Disco Surf Shirt Neoprene Top - The Disco Surf Shirt Neoprene Top by NRS is the perfect action-ready top for kayaking, SUP, surfing and other water sports when cooler conditions demand extra warmth. The 1-mm raw neoprene stretches to match your every move while shedding water to prevent evaporative cooling and fleecy ThermalPlush lining adds warmth and comfort next to the skin. 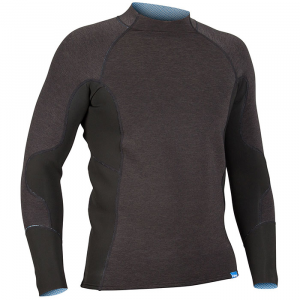 Spandex panels under the arms and below the chin help prevent chafing, while 0.5-mm HydroSkin panels with nylon facing add comfort and mobility in key zones and Flatlock stitching provides durability and comfortable seams. Dance with abandon in the wind, spray and rain with the NRS Disco Surf Shirt Neoprene Top. The NRS Disco Surf Shirt is not available from the stores we monitor. It was last seen October 16, 2014	at Backcountry.com.